On Sunday the 15th July UKAFH met at the world famous Smokejacks Pit – a large clay pit situated just outside Ockley in Surrey. The pit is famous for the near complete dinosaur specimens that have been discovered there including Iguanodonts and the first discovery of the spinosaurid Baryonyx in 1983. The pit cuts through a section of the Wealden group, specifically the Weald Clay. The clay was deposited in a lake and floodplain environment during the Barremian stage of the Cretaceous period about 129-128 million years ago. At this time, the environment was warm and moist due to England’s then position in mid-latitudes but the climate was exceptionally seasonal with ground scorching dry seasons and intensely stormy wet seasons. Although this weather system may sound inhospitable, the cycle of organic deposition provided by the flood waters created a fertile ecosystem rich in both aquatic and terrestrial fauna and flora – perfect for giant dinosaurs! The diversity of fossils to be found here is quite extraordinary; some beds are extremely rich in plant material, others are ripe with insect remains. Fish, shark and shrimp are common too in the right layers and crocodile, pterosaur and of course dinosaur remains can be unearthed here with a good eye and a bit of luck. Weald Clay expert Peter Austen provided us with a fantastic, in depth presentation on the Weald Clay and showed us examples of what could be found in the pit. Peter’s roadshow introduced us to the diversity of insects for which the pit is known (7 new orders of insects and numerous species). He covered in detail the discovery of Baryonyx and also a juvenile Iguanodont which was found together with Baryonyx teeth, suggesting predation or scavenging, which was later recognised as Mantellisaurus atherfiedensis. Smokejacks is also known for a very rare, early flowering plant called Bevhalstia Pebja. We also saw articulated fish death assemblages, an arthropod trackway, gastroliths (the stomach stones swallowed by dinosaurs to aid digestion) and plant remains and the well-known concostracans, small shrimp-like creatures which bear superficial similarity to bivalves. Peter provided a handout and a stratigraphical column to assist the group members in finding the various fossil beds. 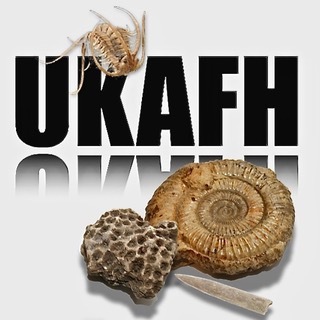 This was particularly beneficial in helping members determine where to look for certain fossils. We entered the pit very excited and eager to see what we could found. We were lucky with the weather on this occasion; although rain threatened it remained dry – any downpour could soon turn the clay into mud – and we were grateful for it being overcast as the site is extremely exposed and will become uncomfortably hot in the sunshine very quickly, especially when traversing the steep quarry sides. We began by walking the quarry slopes in search of any fossils visible on the surface. This proved fruitful for Chris Tait, who stumbled across several pieces of crocodile tooth enamel, and Mark Goble who found a broken block containing a large amount of fish material thought to be Lepidotes. Some then headed to the base of the quarry in search of rocks containing insect remains. Sam Caethoven struck lucky with a beautiful wing and wing case side by side in the same block. Some headed for the middle of the slope in search of fish remains: Dan Slidel, who is a geoscientist, took time to investigate the stratigraphy and found fish scales and an abundance of concostracans while Betsy Ooms found the most exquisitely preserved shark tooth. By the end of the hunt many of us were digging in a bed high up the slope which is full of plant material and is known for an abundance of dinosaur remains. Notable finds include a large piece of bone found by Mary Bite, a beautifully detailed bone found by Seth Cook, an Iguanodont vertebra found by Katherine Combe and a huge crocodile tooth found by Mark Goble, as well as many other bone fragments. However; the prize of the hunt and possible of the year so far goes to Nicky Parslow who found a huge Theropod tooth about 5 cm in length. The tooth was rushed to the Natural History Museum for identification and was examined the very same day. Nicky Parslow extracting her special tooth. Peter Austin has since confirmed that this is the only theropod tooth to have been found at Smokejacks apart from Baryonyx so it is a very significant find from the pit! We hope to seek further advice on the tooth in case more information can be found and we are all really excited to try and learn what large, ferocious beast this may have come from. Smokejacks pit is not always as productive as this hunt assumed so I am really proud that everyone made some varied and exceptional finds on this occasion. Thank you so much to everyone who came and made the day incredible. A huge and special thank you goes to Peter Austen and Joyce for sharing their expertise and organising access at such short notice. We will, of course, keep everyone posted on the theropod tooth. This entry was posted in Reports and tagged allosaurid, dinosaur, dinosaur tooth, fossil hunt, iguanodon, pit, quarry, Smokejacks, weald clay.